This week on Jazz Northwest (Sundays, 2 PM on 88.5 KPLU), new releases by The Danny Kolke Trio + Pete Christlieb “Live at Boxley’s” and Nelda Swiggett’s Stringtet, with her trio + two musicians from the Seattle Symphony Orchestra. Plus a sampling of music in the week to come with Bill Watrous, Fred Hersch and The Mercer Island High School Jazz Ensemble 1 and news of the best bets for live jazz. 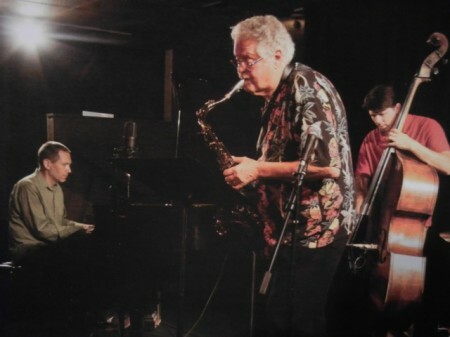 Jazz Northwest is produced and hosted by Jim Wilke exclusively for 88.5 KPLU. The programs airs Sundays at 2 PM Pacific on 88.5 KPLU and streaming live at kplu.org . The program is also available as a podcast. from Earshot Jazz: Wrapping up a West Coast tour, duo Syrinx Effect celebrates their new album Snail Songs in performance with dancer Paige Barnes at Jaam Rek (2000 S. Jackson Street), an event space run by Thione Diop and Sally Carlson. The performance, in special collaboration with movement artist Barnes, experiments with different forms and approaches to improvisation, home turf for improvisation artists Kate Olson (saxophones) and Naomi Siegel (trombone). Thursday, April 24, 7:30pm; tickets are $15 in advance, $18 at the door, students $8. Tickets at http://syrinxeffectsnailsongshow.bpt.me. 22 BANDS IN 11 VENUES FOR A SINGLE TICKET. Four days of music in historic downtown Ballard kicks off tonight, Wednesday, April 16 with Brotherhood of the Drum. All three drum acts feature out-of-town artists. Opening the show is NY/Seattle drummer Ted Poor with his group featuring Cuong Vu on trumpet and Eric Revis on bass. 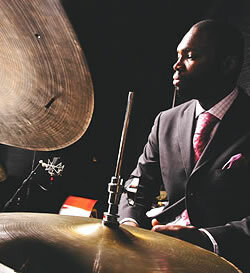 Chicago drummer Dana Hall is joined by Clark Sommers on bass and Geof Bradfield on saxophone. Closing out the night is Cavity Fang featuring the drumming of Jordan Glenn, Evan Woodle and Chris Icasiano. Seattle Jazz Scene will be posting photos and offering coverage. For more information visit the Ballard Jazz Festival website. Thursday April 24, Syrinx Effect, the “electronic chamber jazz” duo that is known for their experimental and skilled work with electronics as well as for their compositional pieces and features acclaimed musicians Kate Olson playing saxophone and Naomi Siegel playing trombone, will officially debut their new EP Snail Songs with a release party at Jaam Rek Studios in Seattle’s Central District. This performance caps off a two-week tour of the West Coast that begins in Arcata, CA, and includes stops in the Bay Area, Hollywood, and Portland. Hardcoretet opening for Kneebody – Tonight! Join Hardcoretet as they team up with Grammy-nominated electric jazz group Kneebody at Tractor Tavern for the release of their eponymous third album. Produced with a generous grant from 4Culture, Hardcoretet is a collection of eight genre-bending original compositions that draw their inspiration from 50 years of American music. Listeners will hear the funk influences of Herbie Hancock, the rock energy of Soundgarden, and the modern jazz intricacy of Chris Potter Underground blended together by a band comprised of some of Seattle’s most active musicians. Visit hardcoretet.bandcamp.com to hear full-length preview tracks from the upcoming record! Thank you for all of your continued support and we’ll see you at the show. 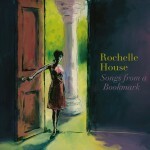 Vocalist Rochelle House celebrates the release of their new CD, “Songs for a Bookmark,” Wednesday night at The Royal Room. Joining Rochelle will be guitarist Andy Coe, drummer D’Vonne Lewis and bassist Keith Lowe. Click here to buy the MP3 version of the CD or make sure and pick up a copy of the CD at the show. Vibist Susan Pascal is a versatile musician who leads her ensembles in a variety of music. On previous appearances on Jazz Northwest she has played the music of The Modern Jazz Quartet at Seattle Art Museum and led a Standards Quintet at Tula’s. 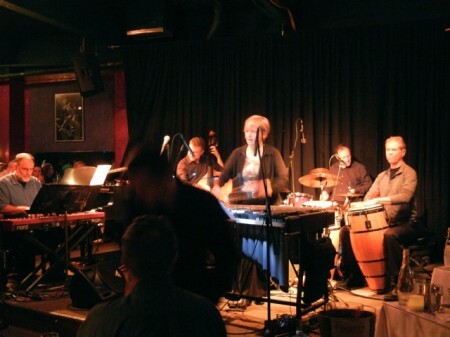 Recently she brought her “Soul Sauce” Quintet to Tula’s to play the music of the Latin jazz vibist Cal Tjader. Highlights from the performance last month at Tula’s will air on Jazz Northwest, Sunday, April 6 at 2 PM Pacific on 88.5 KPLU. The music includes mambo, cha-cha, boleros and other forms, in music popularized by vibist Cal Tjader who worked with Dave Brubeck (as a drummer) and George Shearing (as a vibist) before leading his own groups from 1954 until his death in 1982. Among Latin percussionists who were featured with Tjader are Mongo Santamaria and Poncho Sanchez. Susan Pascal’s quintet uses the same instrumentation as Tjader’s quintets, with Fred Hoadley on piano, Chuck Deardorf on bass, Mark Ivester on drums and Tom Bergerson on percussion. 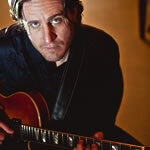 Jazz Northwest is recorded and produced by Jim Wilke exclusively for 88.5 KPLU and it airs each Sunday at 2 PM Pacific. The program is also streamed live at kplu.org and is available as a podcast after the broadcast. The next live-on-location Jazz Northwest will feature singer Kendra Shank and guitarist John Stowell in an intimate duo concert presented by Earshot Jazz at The Seattle Art Museum. The concert is at 5:30 on Thursday, April 10 and the broadcast will be on April 20.